FIFA re-elected Joseph "Sepp" Blatter for his fifth presidential term on Friday amid a massive corruption scandal currently rocking football’s governing body. FIFA should reform and show that it “can represent the interests of fair play,” said Prince William in a speech before the FA Cup final at Wembley. Seven FIFA officials arrested on corruption charges on Wednesday have requested bail on health grounds, Swiss newspaper the TagesAnzeiger reported. The men said they are too old to remain in detention the report said, without indicating a source. 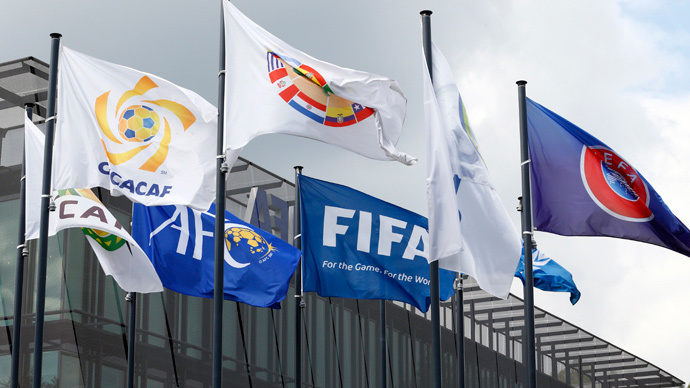 UEFA is part of FIFA, Blatter has said stressing the organizations need each other. FIFA President Sepp Blatter says there will be no change to 2022 World Cup which take place in Qatar. Russian President Vladimir Putin has sent a telegram to FIFA President Sepp Blatter congratulating him on his re-election, the Kremlin said on Saturday. "The head of the Russian state expressed confidence that experience, professionalism and high authority will help (Joseph) Blatter in future encourage the spread in the geography and popularity of football in the whole world," a Kremlin statement said.